This is the updated Homegrown Complete which also includes the sample Releases from 2010, which brings the collection to around 12GB+. Click on the links to see info on each individual collection. Homegrown Sitar Loops - recorded using a Jerry Jones Electric Sitar in 24-bit. Acoustic Drum Grooves – Enormous collection of acoustic Drum Loops. All sounds are real drum recordings made on a couple of kits and have many ‘breakbeated’ variations, plus a some heavy compression loops (like Organic Breakbeats) as well as a few single hits and a few fills. Loops from this collection are used on the Frequency Arps demo. 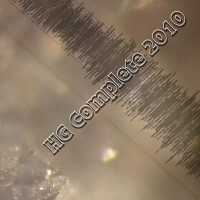 This is currently only available as part of Homegrown Complete 2010. Waldorf Pulse Vol 1 – 200+ one shots and a few pads made with this classic synth, includes basses, hits, fx, bass drums etc… No effects were used, recorded directly into an MPC which adds a touch of warmth.